I’m in two minds about this news. And it’s criminal they didn’t utilise the Dredd figure/uniform for additional releases - Giant, Rico, Souster for starters. Easy money for the completists like me. On the other hand...I currently have five high quality 1:6th scale 2000AD figures on my shelves (including the behemoth that is Mongrel). If you’d asked me if that was possible ten years ago, I would have laughed in your face. Oh well, seems very much like a missed opportunity. I'm a bit sad as there will never be another one quite like this but at the end of the day they're only toys. The figures we've got out of this venture over the years are a testament to the commitment and quality of 3A stuff and are very much the product of a fan rather than a hard-edged business approach (clearly a mixed blessing). They'll sit on my shelves with pride (and get played with by my kids, which is the whole point). It's a real shame, would have loved to see another 1/6 figure. At the very least I have an amazing 1/6th comic strip Judge Dredd, apart from Alpha that was always what I had hoped to get......so thank you 3a for that! I’m glad they did what they did and love their stuff. Nobody can ask a company to constantly lose money or squander their resources for minimal returns. Thanks for what you gave us 3A. Especially ash and Gregory. Poor character choices, Quality issues and 3A's ordering system are what bled money from the 2000AD line. Generally the lack of planning and direction, with minimal Business sense in relation to the Market. What little profit made on Death, was squandered on a Satanus proto for Ash's Studio. 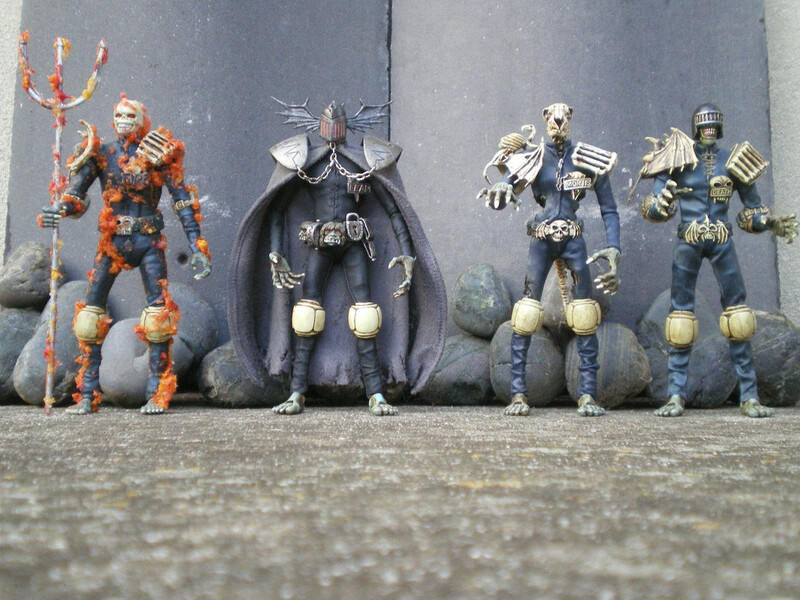 The initial 1/6 line was canned due to lack of support (character releases). Then they gave the 1/12 (re-launch) line the "good 'ole 3A treatment". Yes, FIRE is coming along well, won't be long now. That's disappointing, I backed the 1/12th line as an entry point as the 1/6th line was too expensive to get past the wife, although the Judge Dredd model nearly turned me. Shame they don't do second runs. Then to make matters worse the wife tossed my 1/12th mongrel plastic moulds in the bin just recently as well. Saved the box before she took care of that. What are your memories, good and bad? Please share. 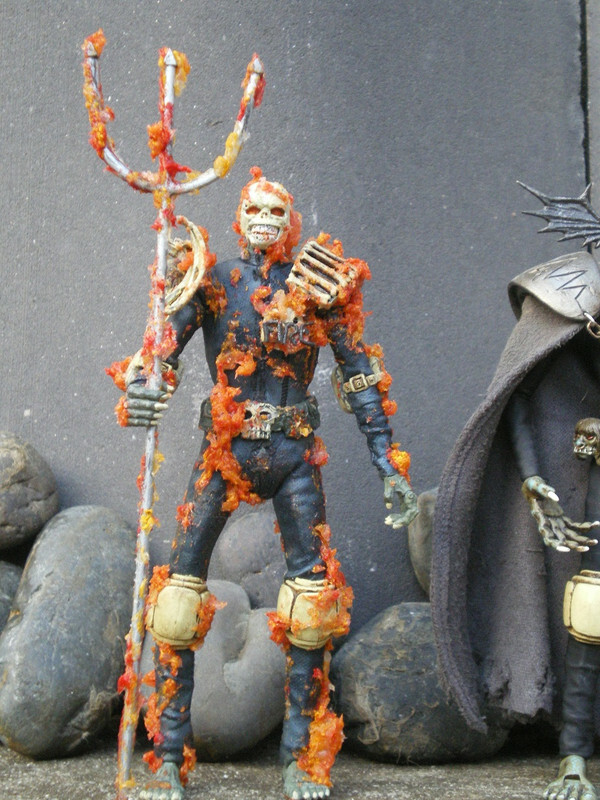 BAD :- I fear 2000AD figures are to toys, the way D.C. Comics are to Movies . Re-Action, Legendary Heroes and now 3A . GOOD :- If FIRE saw the light of day (didn't), what would 3A's version be like . I'm not fond of the colourized "old skool", version (charred Black with green/yellow "Supernatural" fire). For totally narcissistic reasons , I got to make a unique "Ghost Rider/grip hands" version . As a juve Bolland's (Original) vision of the Dark Judges were in B&W. So my childish imagination used "Ghost Rider", to fill the "colour gaps" on Judge Fire . Been that way ever since . AFTER BRIAN BOLLAND : THE FOUR DARK JUDGES . Judge Death = DEATH !!! !.